Love is in bloom! 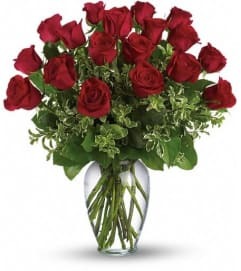 This gorgeous and romantic bouquet features deep red roses and other flowers, artfully arranged in a striking, petal-shaped glass vase. 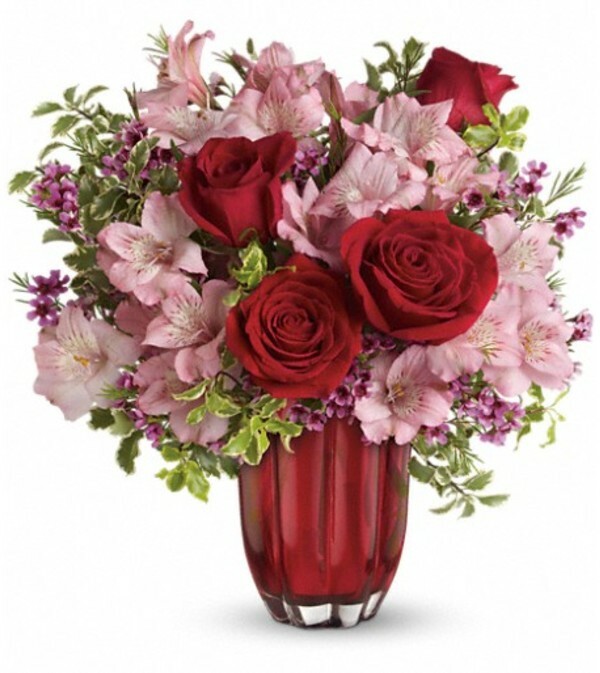 Red roses, pink alstroemeria and lavender waxflower are accented with assorted greenery. 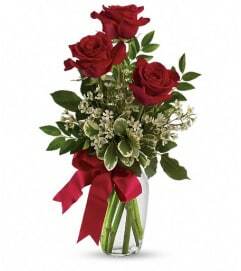 Delivered in a Kissed By Tulips vase.